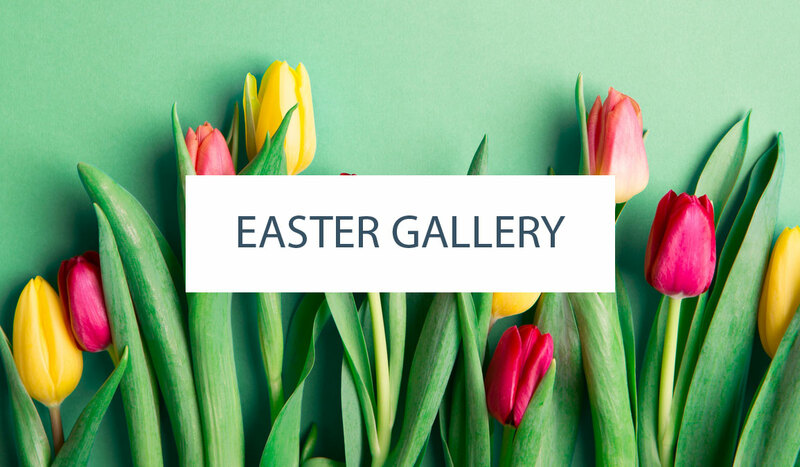 Today’s feature is so ridiculously adorable that the cuteness factor is simply off the charts. Everything about this party says happy. Happy, Happy Birthday! To be exact. Rainbow neon is mixed with small pops of black and white to create a cheerful color scheme that’s vivid and so right now. A tissue paper bow backdrop sets the stage for a dessert table filled with brilliant sweets and a cake that will knock your socks off. And the star of the show is that iconic white cat we all know and love. 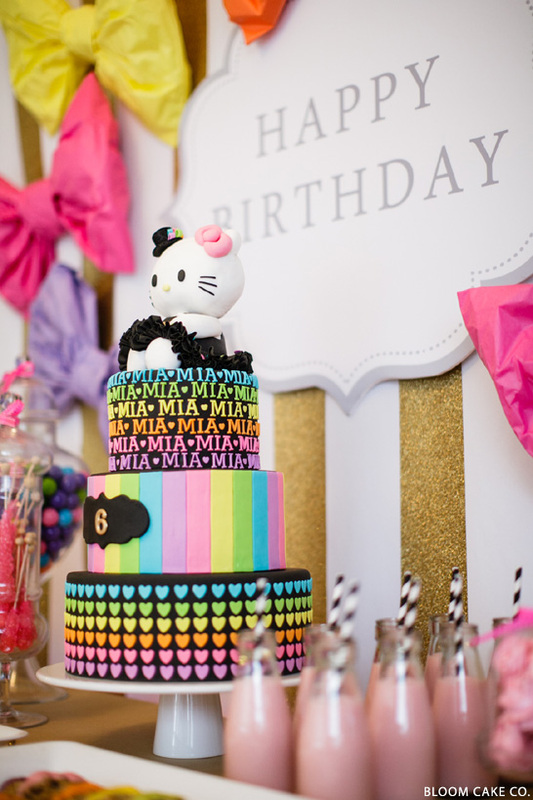 Yes, Hello Kitty is making an appearance at this birthday party in a truly fabulous way. 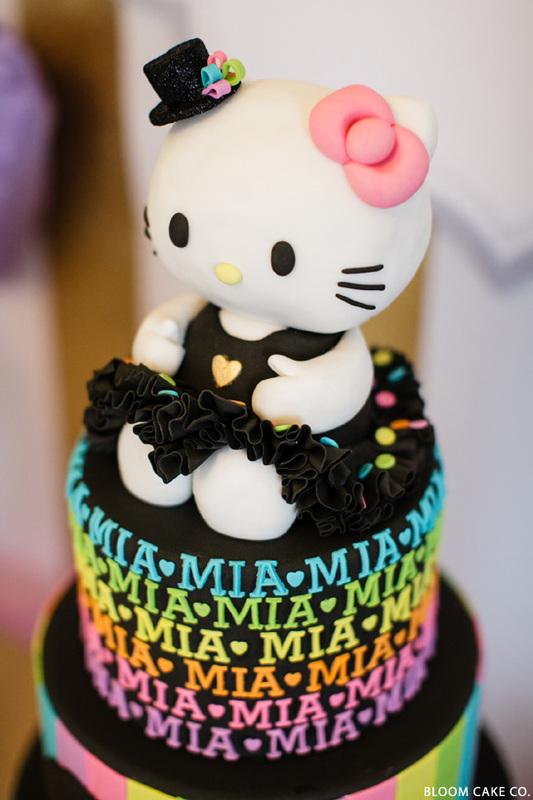 From Hello Kitty cake pops to Hello Kitty macarons… and of course, the 3D Hello Kitty figurine topping this gorgeous birthday cake. It’s all enough to make you wanna squeal and it comes to us from Sharon Ho, owner of Bloom Cake Co. located in Toronto, Canada. 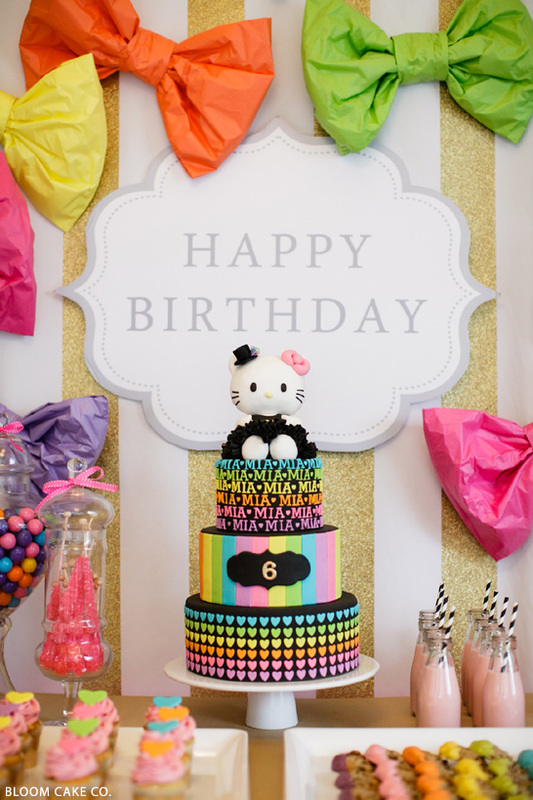 Sharon put together this incredible spread for her daughter’s 6th birthday, and man, we are in love! 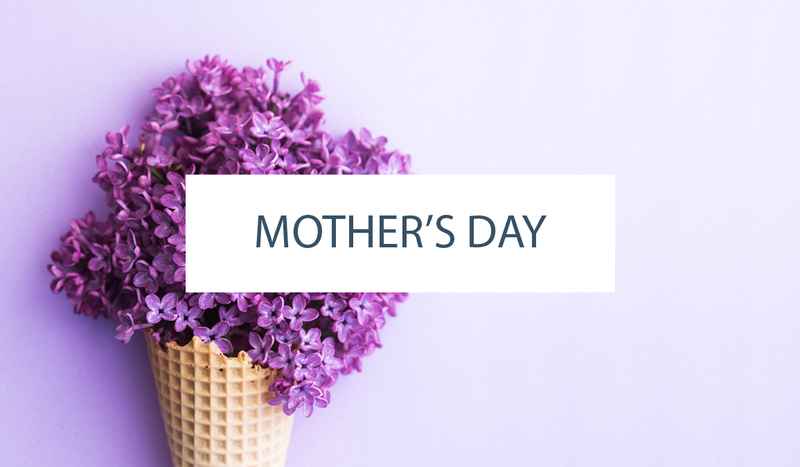 So I think it’s about time for us to say…. Hello Kitty! Absolutely. Positively. Incredible! 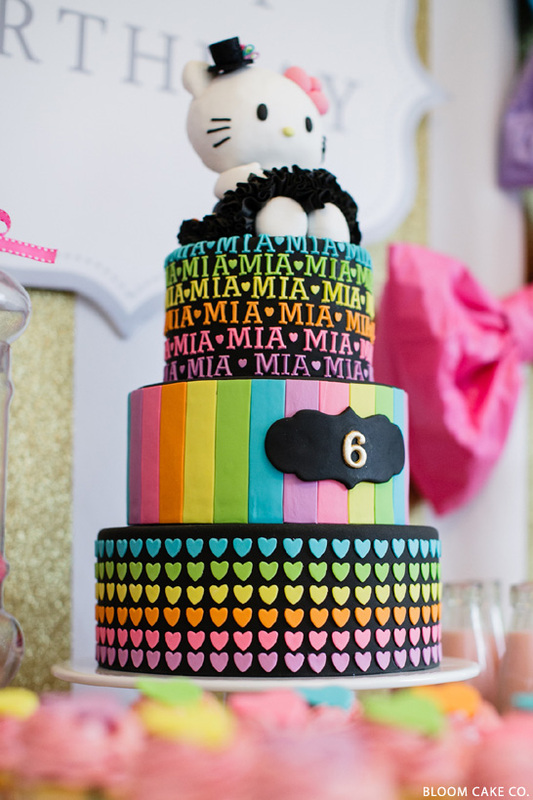 A big thank you to Sharon Ho of Bloom Cake Co. for sharing her daughter’s rainbow neon Hello Kitty Birthday with us today and inspiring us with her fabulous cake and gorgeous dessert table! 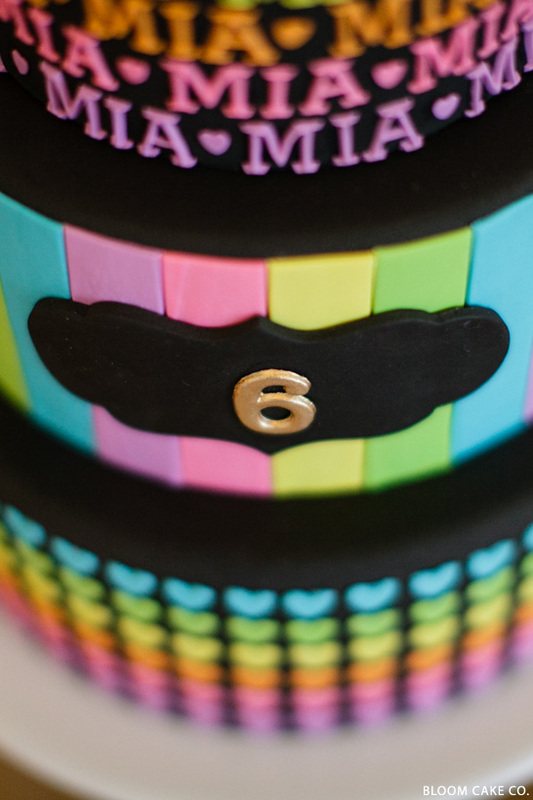 Cake & Desserts : Bloom Cake Co.
Could you tell me what kind of cutter was used for the alphabets? Looks like they are fmm tappits block alphabet cutters. I have a set myself and best used with flower paste/gum paste. Absolutely adorable and a perfect tablescape. Love it. Super adorable! Makes me wish I were six and the party was mine. I love all the other complimenting desserts especially the HK cake pops! This is beyond awesome! 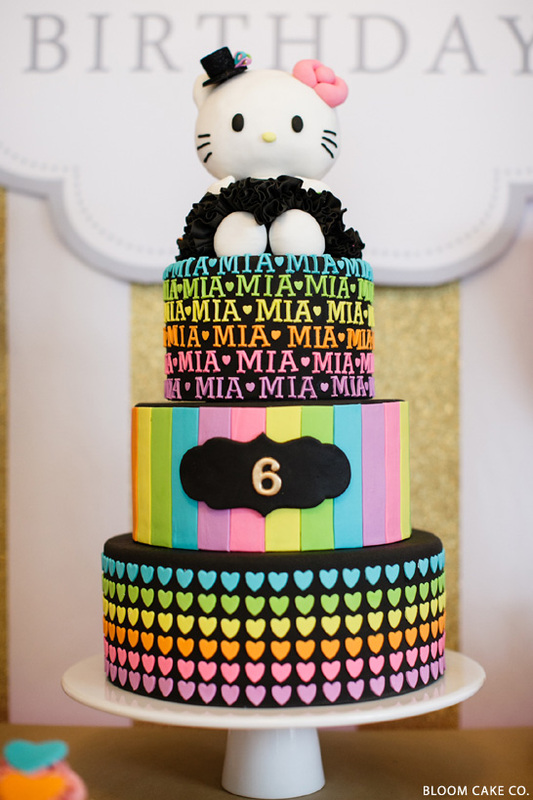 I’m a huge fan of Hello Kitty and the cake and the entire party just gets me going haha. It all was incredibly designed! Props! 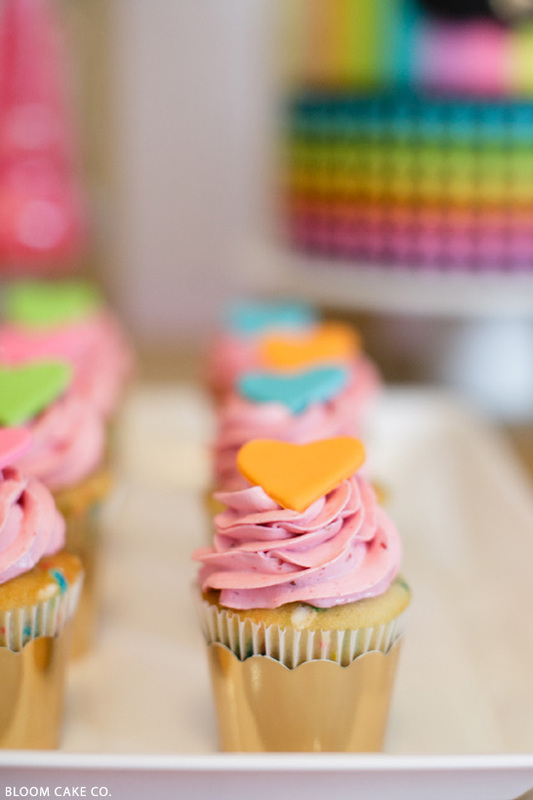 I love cake shape. 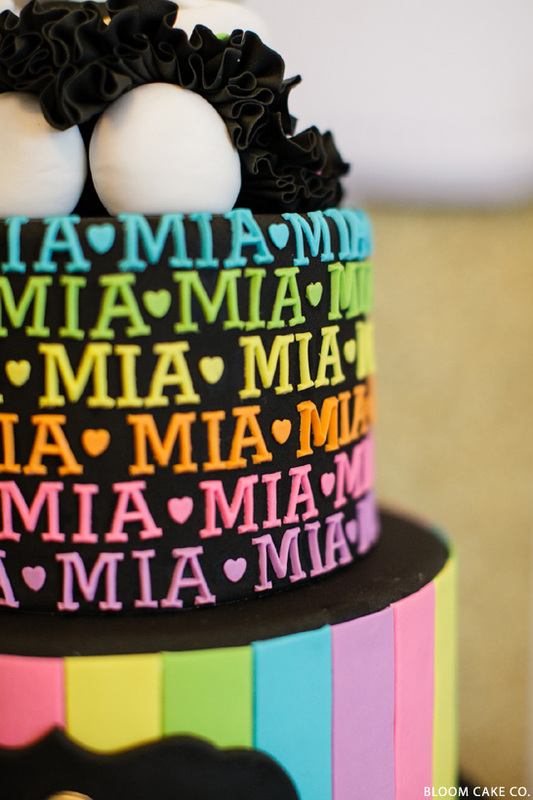 I like color combination in cake design. How did you may the huge bows??? Adorable! Do you know anyone that could make this cake. My daughter is turning 3 in June and wants a hello kitty birthday party theme. So amazing!! I just adore it all. May I ask where the tissue pinwheels hanging on the table were from? How did you make the big bows?